The guidance we received from Ze’ev was very meaningful for us, both professionally and personally. The process of dividing the workers into teams and leading weekly meetings contributed much and provided significant results. Ze’ev had the wonderful ability to diagnosed very accurately are problem areas, turn our attention to them and do the needed work to fix them. To whom it may concern, Ze’ev Ronen and Itzik Lev mentored an improvement team at the Caesar Stone factory at the Bar-Lev industrial area. First, they diagnosed the factory, held meetings with workers and managers, and checked all the relevant data. They produced a report summarizing their finding and recommendations. Zeev Ronen was active at Bazan (Haifa Refaineries) Oil Refineries for 18 months, leading a project for the implementation of Key Performance Indicators and profit improvements. During his engagement, we implemented a work culture with improvement teams and strict measures in the aromatic, oils and waxes divisions. The teams initiated improvements, efficiency and savings in millions of dollars. 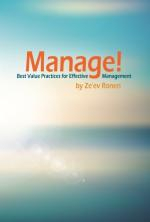 Zeev Ronen of Business Excellence was an advisor for us on a designated project to create a process for selecting organizational KPI's (key performance indicators). 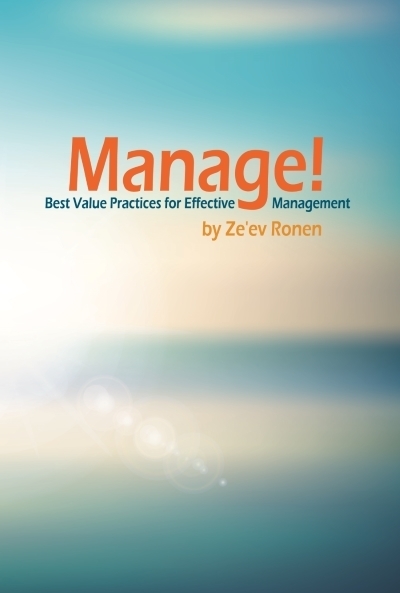 At the beginning of 2011, during a brief, focused evaluation process, Zeev interviewed the entire management level, including a VP forum, and prepared the infrastructure for the attaining of organizational objectives and measures. From 1989 to 1994, Zeev served as CEO of Shamir Optical, where I have served as Vice President of R&D since then and up to now. In the operative area, he built an organic structure that could both contain and enable control of the production systems and production volumes that were required for increasing sales. He changed the operative approach from a centralistic view that prevented personal development among good minds, to an approach of allocating responsibilities that brought about developments both in the personal realm and in the company's ability to fulfill production objectives and supply dates as well. Zeev Ronen served as a factory manager at Nestle Israel (Osem ltd.), in Yoqneam, from 1996 to 2005. During most of this period, I was his superior, as the concern's VP of Operations. I got to know Zeev very well and was most impressed by the manner in which he managed the site as a sub- organization within a larger one. Zeev led the company towards objectives set by corporation management, while meeting complicated challenges and revolutionizing our labor relations and practices. Zeev Ronen directed three groups in the product plant for a period of 12 months. At first, both management and employees expected yet another advisor who would prepare a pretty presentation and numerous shelf files. However, this was not the case. Zeev didn't simply perform magic. With honesty and integrity, he enabled us to see ourselves, for an employee experience that was priceless. Dear Ze'ev Ronen, I wish to thank you for the excellent work you did with Adin Dental Implant Systems, over the last five years. During this time the company grew considerably, and as a consultant you helped us with organizational development, management structure, goal-oriented work, developing a culture of employee involvement and multi-level improvement teams, and assisted my personally in my work as a CEO. Throughout the guidance program Ze’ev Ronen exhibited two qualities: professionalism, and concern above and beyond the expected. His professionalism was present in all areas of operation, when Ze’ev made sure we reached a full and extensive discussion of all subjects, together with the best professionals around. His concern was shown through his personal initiative, approaching all the people he felt might advance our project and improve even a minute detail.